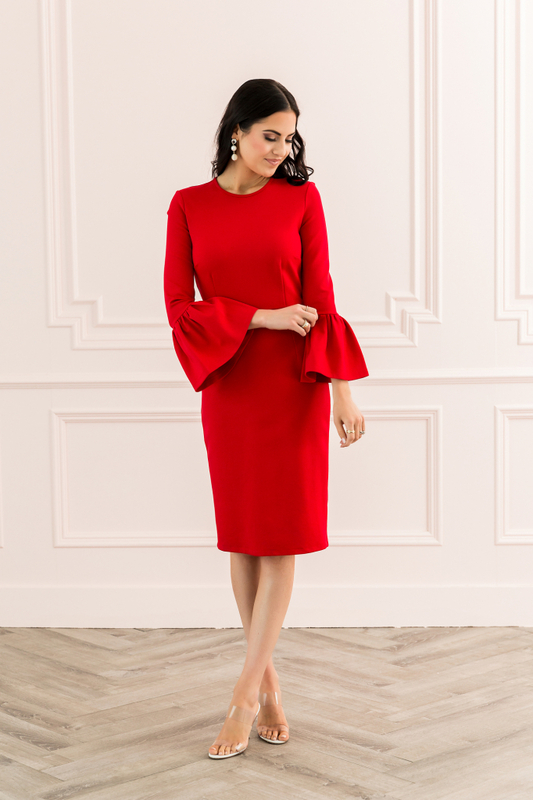 Flared bell cuffs make every gesture more elegant in this svelte, sophisticated sheath cut from supple ponte and finished with a nipped-in waist. This classically elegant look is part of a collection of dresses and other apparel designed for making memories. 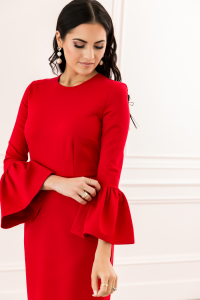 Love this dress as the new go-to work dress. Pair it with matching pumps for a monochromatic, modern look.